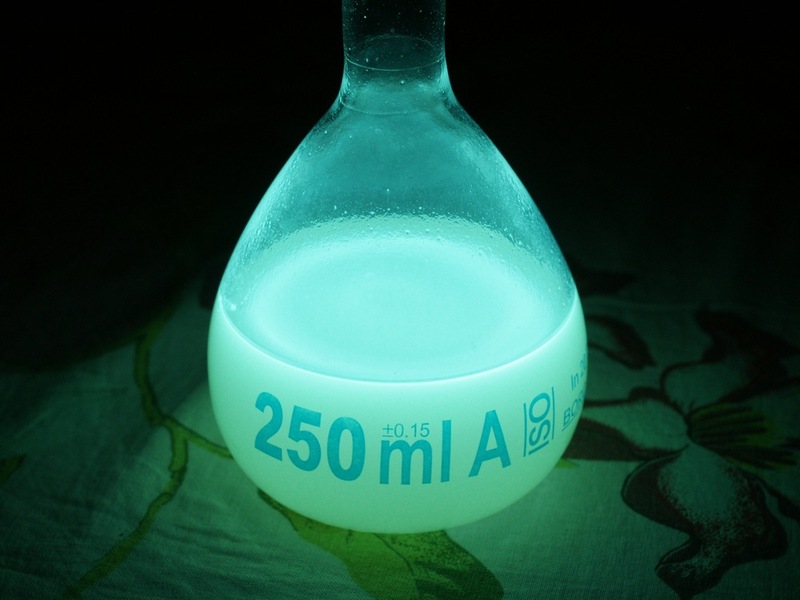 As Luminol works poorly in water, I had to use Dimethyl sulfoxide as a solvent (150ml). Other ingredients are KOH (~10g) and Hydroperitum (3g). No catalysts were used. ~0.5g of Luminol. One should not use usual hydrogen peroxide, unless you are ready to clean your ceiling (also, whole idea of using DMSO was to avoid water). This photo is ~30 hours after reaction started.